If you are like me forever juggling “one more thing” in your day, than I know you need quick, nutritious, food that everyone in your family will eat including the picky one whichever age they might be. This meal can be prepped, and served to your table in under 30 min and by the way it costs UNDER 10 BUCKS for a family of 5 – Yes your heard me right. Now let’s get cooking…. Sauté the chicken in olive oil for about 5-8 minutes, then add all of your veggies and cook for an additional 4 min or to the cooked consistency you like for your veggies. Your water should also be boiling at this point so cook the noodles for 10 min while your are cooking the chicken and veggies. I usually add a little teriyaki dressing to my chicken and veggies in the last couple minutes of cooking and for my husband and I, I add pepper flakes when I serve it – we like the extra zing. This is a great mid week, inexpensive, flavorful nutritious meal! I truly hope you enjoy it and it becomes one of your family staples. 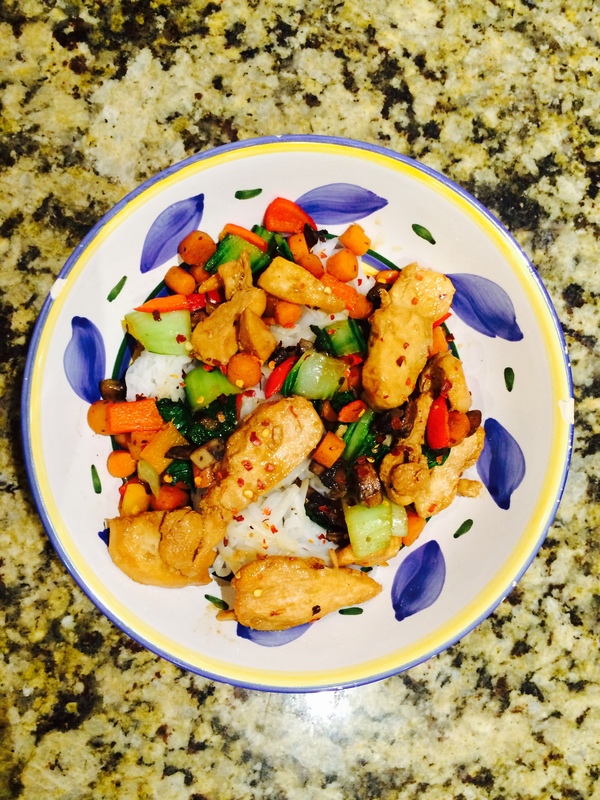 This entry was posted in Be Healthy, Favorite Recipes and tagged chicken, Ready under 30 min, Stir Fry, Under 10 Bucks. Bookmark the permalink. Yeah!! Happy to see these again!! Thanks Melanie, let me know if you need any individualized nutrition or fitness tips!